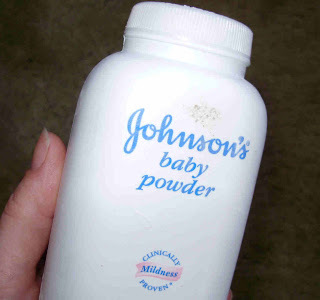 If you remember, I mentioned that my girls were into the baby powder the other week. Well, my 2yo climbed up to the top bunk in her sisters' room and created a lovely baby powder shower from there. Their box of Barbie dolls and My Little Ponies and such got "dusted." I tried sticking her head in the end of the vacuum hose, but Snow White still has gray hair. Their beds were also very "dusty," but it actually smelled pretty nice in there after I got it all cleaned up. BUT, I used my vacuum. I have had messes of this kind before, with the same result, and I have decided that the worst part about cleaning up baby powder with the vacuum is that no matter how many times you empty the canister or clean the filters, there is still some baby powder in there somewhere. And it causes static electricity. Sooooooo, whenever I vacuum now, I get little zaps if I bump up against the vacuum or even the hose. I also dread having to reach for the switch to turn it off because I know I am gonna' get it!